This is a narrated tour and you will be educated either by trained tour guide, audio set or film footage. You will not stay in line for ticket for USS Arizona Memorial behind thousands and you do not need to be pick up early morning! We will handle everything for you from transportation to ticket even a light lunch in Pearl Harbor. You just enjoy your day and your vacation. This is our very main concern. A visit to the serene USS Arizona Memorial and the formidable submarine USS Bowfin will definitely make your Hawaiian vacation more meaningful and memorable. 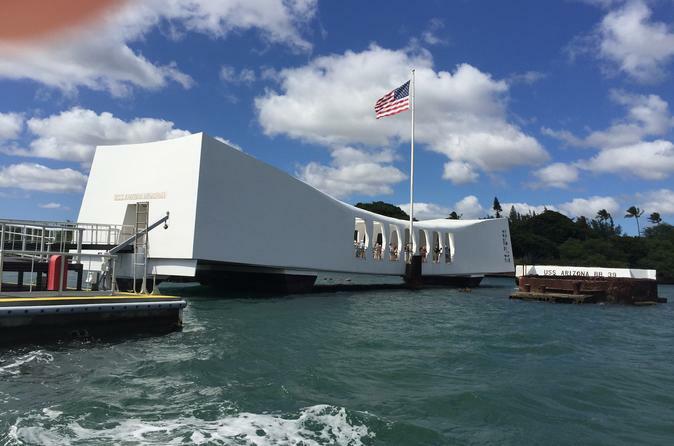 In this Pearl Harbor small-group tour, you explore these two historic monuments to pay tribute to the sacrifices of heroes and have a greater understanding of the history of World War II. Next, you will have a choice to visit the formidable Pearl Harbor Avenger, the submarine USS Bowfin, or USS Missouri. You will not stay in line for ticket for USS Arizona Memorial behind thousands and you do not need to be pick up early morning! We will handle everything for you from transportation to ticket even a light lunch in Pearl Harbor. You just enjoy your day and enjoy your vacation. This is our very main concern. A visit to the serene USS Arizona Memorial and the formidable submarine USS Bowfin will definitely make your Hawaiian vacation more meaningful and memorable. In this Pearl Harbor small-group tour, you explore these two historic monuments to pay tribute to the sacrifices of heroes and have a greater understanding of the history of World War II. Next, you will have a choice to visit the formidable Pearl Harbor Avenger, the submarine USS Bowfin, or USS Missouri, or Pacific Aviation Museum one of these three attractions. A round trip transfer from your hotel in Waikiki, Honolulu port or Honolulu airport to Pearl Harbor and back. Complimentary bottled water or tropical juice. Ticket to USS Arizona Memorial without staying in line behind thousands and hours waiting. Museums of " Road to War "
Actual film footage of Japanese attack on Pearl Harbor. Hot-Dog in front of USS Bowfin Submarine ocean front.